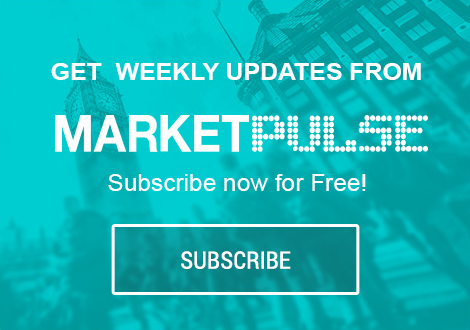 With a number of the Asian market on a bank holiday, the rest of the market seems to be taking stock ahead of Friday’s non-farm payroll (NFP) report, tomorrow’s FOMC minutes and the small matter of China’s President Xi meeting in Florida with the U.S President. Last week, global stocks completed their best quarter in four-years as Trump’s “reflation” trade continues to show resilience for now, supported by stronger global growth. Nonetheless, risks remain from prospects over implementation of the Trump’s pro-growth agenda and the path of higher U.S interest rates. Japan’s Nikkei share average fell overnight to a ten-week low as the safe-haven yen (¥110.53) rallied and as automakers tumbled on weaker-than-expected U.S sales. The leading benchmark dropped -0.9%, its lowest closing level since Jan. 24. The broader Topix dropped -0.8%. Elsewhere, China, Hong Kong, Taiwan and India were closed for a holiday. The Philippines benchmark index jumped +1.4% to the highest level in five months, while Indonesian shares rallied +0.7% to extend their record. In Europe, both the Eurostoxx and the FTSE are in the black in early trading as gains in energy shares offset declines in auto stocks. U.S stocks are set to open in the red (-0.2%). Oil prices are on the back foot overnight, pressured by a rebound in Libyan crude production combined with an increase in U.S drilling signalling the potential for increased supply. Brent crude oil futures are down -20c at +$52.92 a barrel, while light crude oil (WTI) is also -20c lower at +$50.04 a barrel ahead of the U.S open. Both benchmarks have recovered from last week’s four-month lows on expectations that OPEC would manage to tighten supply by cutting production. Nevertheless, global inventories remain stubbornly high and the market bears continue to bet that it will take months for oil prices to respond convincingly to lower OPEC output. Note: Libya’s crude output has increased after state-owned National Oil Corp (NOC) lifted a force majeure on loadings of Sharara oil. Also, U.S drillers last week added rigs for an eleventh consecutive week. Gold has rallied +0.3% to +$1,256.59, advancing for a third day amid speculation the Fed may go slower on rate hikes after the worse-than-expected U.S auto sales last month. For fixed-income investors, tomorrow’s Federal Open Market Committee (FOMC) minutes and Friday’s non-farm payrolls report will go a long way to shape the U.S yield curve. Note: The minutes matter most for what they “do or don’t say” about Fed’s plan to shrink its balance sheet. The job’s report is expected to be softer than recent months on seasonal adjustments – consensus is looking at +177k. Yesterday’s weaker U.S vehicle sales data (16.6m vs. 17.4m) has helped push U.S 10’s to trade atop of their lowest level since November (-7 bps to +2.33%), and in doing so, dragged eurozone government bond yields down. German 10-year bund is trading at +0.276%. With short-term U.S Treasury yields at a five-week low has helped to push USD/JPY below the psychological ¥110.50 overnight. Also providing yen support is the BoJ and government advisors floating the idea of how to move away from yield curve control. Note: Overnight, BoJ’s Kuroda reiterated his ‘dovish’ stance that it was premature to discuss an exit strategy from the central bank’s aggressive easing policy. The EUR continues to hover in the mid-€1.06 area (€1.0653), while the pound remains under pressure, giving back nearly all of last week’s gains, on disappointing domestic data – Monday’s U.K PMI data (54.4 from a revised 54.5 in Feb.) was below consensus expectations of 54.6 and the lowest reading for four-months. With the Reserve Bank of Australia (RBA) keeping its policy steady with a ‘dovish’ tilt (see below) has helped push the AUD/USD to print a three-week low below A$0.7560 area. The Reserve Bank of Australia (RBA) stood pat (+1.5%), but produced a more ‘dovish’ statement, focusing on wages and their ‘hot’ housing market, than investors had been anticipating. To date, Aussie employment had been rather resilient in H2, but last months reading saw the domestic jobless rate jump to a 13-month high with a net change that was negative for the first time in five-months. In the RBA’s communiqué overnight, officials acknowledged that domestic wage growth remains “slow.” Another notable change in the statement addressed the Aussie property market, with officials recommending that “lenders ensure the “serviceability metrics that they use are appropriate for current conditions” while also urging reduced reliance on interest-only housing loans. All in all, the RBA remains wary of risks of accelerating housing correction now that lenders have started to tighten mortgage rates.